What’s Going On Today in NYC? Kylesa‘s new album Exhausting Fire comes out next week (10/2) via Season of Mist and now the whole thing is here to stream. 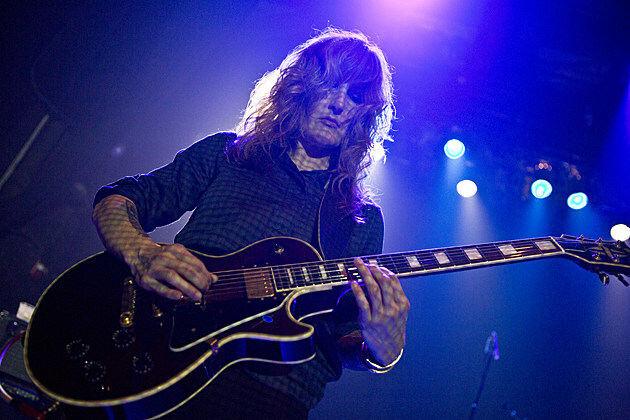 As the early singles hinted, it’s a continuation of the progression they explored on 2013’s Ultraviolet: heavy psychedelic music that doesn’t fit nicely into any one genre (including “metal”). Listen to the whole thing below, via Noisey. The band’s tour with the similarly psychedelic Inter Arma, the sludgy/garagey Indian Handcrafts, and Irata (who are on Kylesa’s Retro Futurist label) hits NYC on October 21 at Saint Vitus (tickets) and Jersey City on October 22 at Monty Hall (tickets). It appears that you already have an account on this site associated with . To connect your existing account just click on the account activation button below. You will maintain your existing VIP profile. After you do this, you will be able to always log in to http://www.brooklynvegan.com using your original account information. Sign up for BrooklynVegan quickly by connecting your Facebook account. It's just as secure and no password to remember!